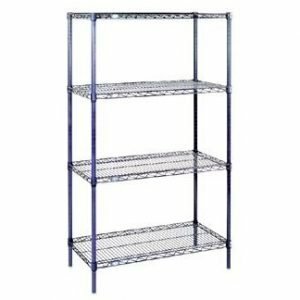 Nexel Starter Shelving Kits - Castle & Cooper Inc.
NSF Approved, Nexel® Chrome Wire Shelving Units feature a chip resistant electroplated nickel chrome surface. 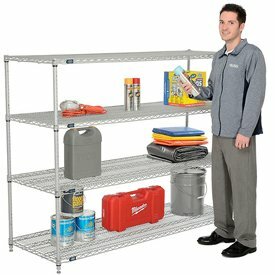 This lustrous high gloss finish provides an attractive look thats used for retail display and is rugged for cost effective, long lasting storage. 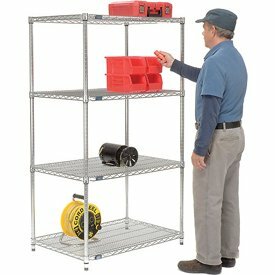 Features a 1-year limited warranty in dry applications. 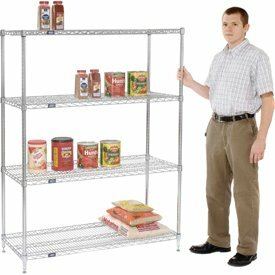 Open wire shelving permits sprinkler, air and light penetration and minimizes dust accumulation. 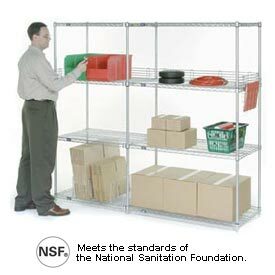 Nexel®’s patented truss reinforced shelves provide extra strength that outlasts the competition. 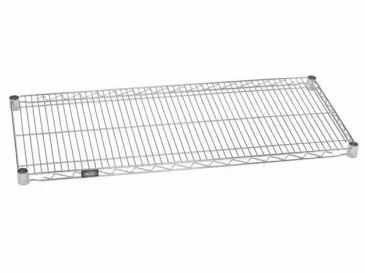 Easy slide-off shelf surfaces speed stocking and picking. 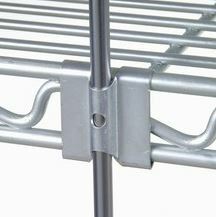 Wire shelves adjust without tools and align on numbered posts at 1″ increments. 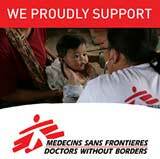 Meets NSF standards. Easy assembly.